Whatever it takes, how about TNT up the rear. Is this a “■■■■■■, Johnny.” Joke reference? cough. Even Geelong supporters want Scott given the good sarsparella. Their “success” is largely on the back of a massive home ground advantage, amongst other things. Horse has had comparable advantages handed to him. And jesus h C. You want sustained success? I’d be happy with any sort of success at the moment. 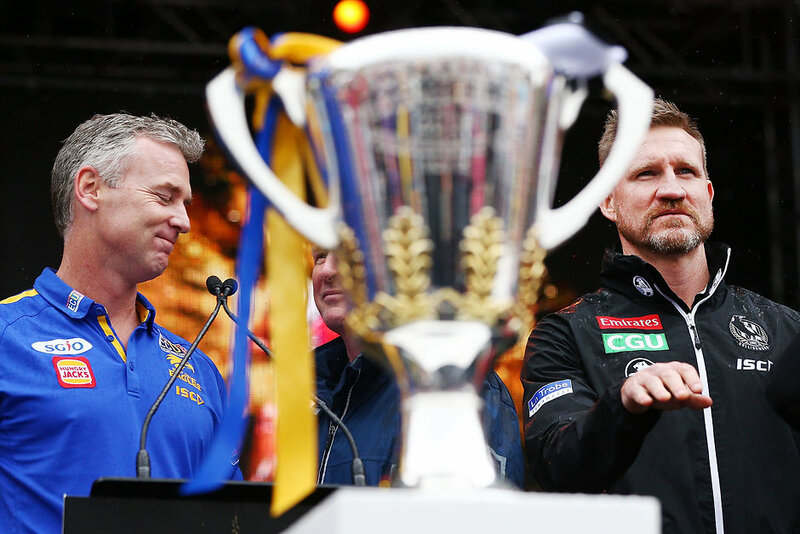 Clarkson and Sheedy are the only coaches who have managed sustained success along the line you’re speaking. And there are plenty of mitigating circumstances for both, the former more than the latter. Give me consistency for a season and I’ll be happy. Give me a flag before I die. And besides that, how do you know Worsfold isn’t building a culture of sustained success? And even besides that there is the fact that it takes more than a head coach to create such success. It takes an entire organisation, on and off field. I can still remember heaps of Blitzers chuckling away when, about 8 years ago, Richmond Football Club said they had a 5 year plan for 70k members, finals and flags. Laughing stock those guys. Give it a rest with the Worsfold stuff, seriously. We should all understand, especially given recent history, that the coach will be blamed for the failures - large or small - of a football club. Edit: misquoted @Celtic_Swing when it was IT. Also, sorry for the aggression. I never mean to sound as grumpy as I do. I think Woosha believes that is what he is doing. Ask yourself how long is a stretchy piece of endless elastic? Really, on that table 2016 should not be included. It’s an anomaly. Basically, in 45 games he’s had 24 wins which is consistent or at least close to his win/loss record at the Eagles. 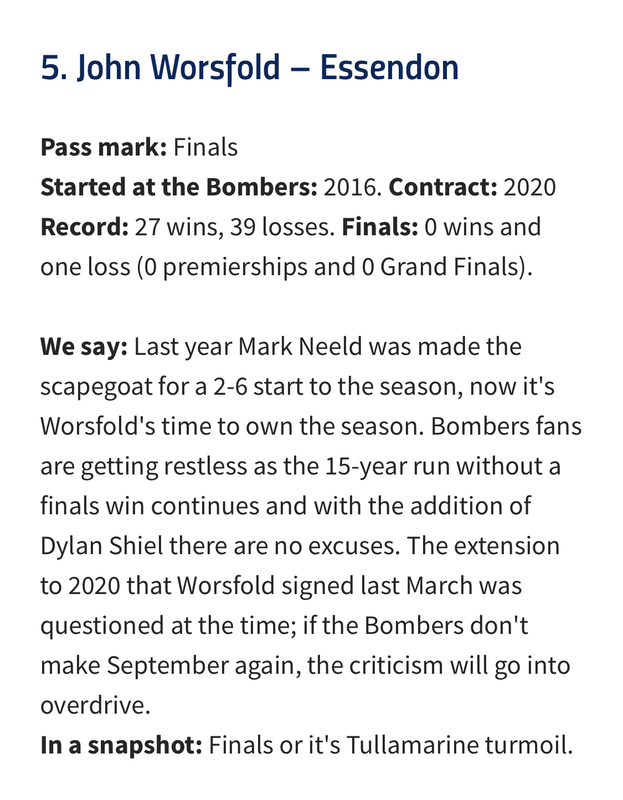 That being said, Worsfold has everything he’s asked for. No more excuses… mantra for 2019. If he fails to make finals the pressure to hold his position will be intense. In this scenario, wonder where X and Richardson will focus their attention to bridge the finals gap? Coach (probably not)? Development program (they should)? Assistants (likely)? Will there be a football department overhaul (there’s ongoing reviews so, likely)? 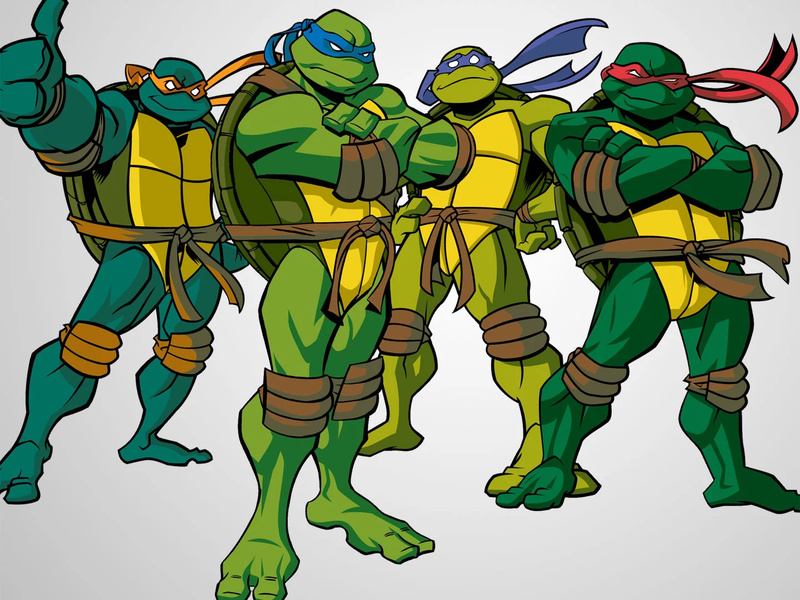 One thing I do know after 14 years of mediocrity, drama, chaos… it’s time! if woosh doesn’t win a final, tullamarine is gonna get some strange bombers fans down that way. LEARNED, it’s pronounced LEARNED boy. That extension is looking really good right about now. If I’ve ever seen a bloke more out of his depth than this bloke… It’d have to be Luke Walton and not by much. Wet lettuce leaf of a coach. I’m watching on telly, didn’t even see him. this bloke opens tells people he isnt a ‘fan’ of the tactical side of the game. he is a joke - the whole sport is tactical! Game plan and executing it is everything. And again -the team isnt prepared for the start of the season. The buck has to stop with him - ASAP! Unfortunately MarketingFC wont do that - its all about the memberships. Imagine if we hadn’t brought in Saad, Smith, Stringer and Sheil we would be bottom 4. Every year we look worse than the year before. Which players have actually developed under him, I can think of McKenna and Tippa as the only players that have come on in the 4 years he’s been coach.